Whether you are getting into Eve for the first time, or have been doing something non PVP related for a while and want to switch gears, it can be daunting to know where to begin! What ships should you train for? What support skills do you need? What kind of corporation should you be looking for? Should you train something really good first, and then join a corporation? Will you die a lot? Before I begin answering all these (and more!) questions, I first must warn you! Although PVP can be extremely fun and heart pounding, if you get off on the wrong track it can also be extremely frustrating, time consuming, and costly. 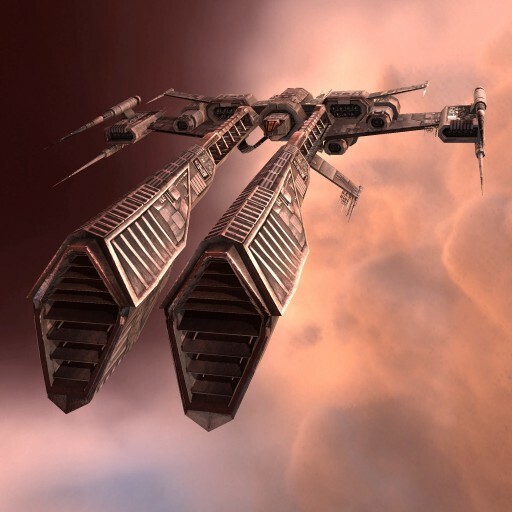 If you are new to Eve, and wondering if it is even worth it to pvp in the beginning, please read this guest post, where a very new pvper shares some of his personal experiences. We should probably look at your training first, as you can’t do much if you can’t fly anything! All pvpers should start with tech 1 frigates. This applies to non beginners in Eve as well. If you are just starting to pvp, fly a frigate! Because you’re going to be flying frigates, you will want to train to fly the very best frigate that you can fly. This means training support skills that will make your frigate go faster, be more maneuverable, etc. This means training skills that will make your guns more deadly, and make your hull and armor more tankier. Don’t worry about your battlecruiser skills, or medium guns, etc. Concentrate on basic skills. Because you are in a frigate, you will mostly like be pointing, once you do join a corporation. This means that you should also get skills to use Warp Scramblers, Warp Disrupters, and Stasis Webifiers. Only when you can fly an excellent frigate and have rounded out a lot of support skills should you advance to training for larger stuff. Now that you are on the right track as far as what you will be training and what you will be flying, it’s time to find a corporation! There are a lot of beginner friendly corporations out there that would love to share their knowledge and experience. You will probably notice, however, that most corporations lean toward one or two aspects of pvp. What should you choose? There are a lot of ways to pvp in EVE! You can pvp in wormholes, pvp in null sec, pvp in faction warfare, pvp as a mercenary, pvp as a pirate, etc. IF you don’t really know which way is best for you, don’t worry. Try to focus on finding a friendly corporation that you feel comfortable in first, and try whatever they are doing. Gaining pvp experience in any of these areas will not be wasted and will transfer over if you want to try something different, later. Lots of beginner friendly corporations have perks for new players such as free skillbooks and tech 1 stuff. This can be really helpful for a new player especially because you don’t have to worry as much about your wallet! How do you find a corporation? There are many avenues in Eve. If you have friends who play Eve, ask for a recommendation to a beginner-friendly corporation. Post something in recruitment forums, and ask in the recruitment channel. Someone will find you eventually! Okay, now that you’ve found a corporation and have started a training plan, what’s next? The best way to gain experience in pvp, is to pvp! Take advantage of corporate gangs. Listen and pay attention. Learn how they do things, and follow instructions. Ask lots of questions, just not in the middle of a battle! Learn their lingo, and try new things. You’re flying a tech 1 frigate, so if you pop it’s not the end of the world. -Never fly what you can’t afford to lose. -Never fly what you can’t fit/fly well. -Don’t be afraid to lose your ship. I think I often avoid taking general militia into my fleets because I get a ton of rifters and thrashers that run off the moment they start taking damage. As a tackler you stay until more points on on, or die trying. If you're in a Rifter your job it so be Hero Tackle. That means, expect to die. If your fleet is honorable and you hold the field, the loot you get will more than compensate even for a rigged T2 Rifter. If you're in a Thrasher or other dessie, your job is to kill enemy frigs. This can often make a huge difference in battle if you pop stealth bombers and tackler inties. And above all, keep your DPS on primaries. A smaller disciplined fleet can stomp a larger, unorganized one if everyone follow primaries and spreads points (but keeps enough on the primary so if the main tackle loses lock or point, the enemy is still kept on the field to die horribly).